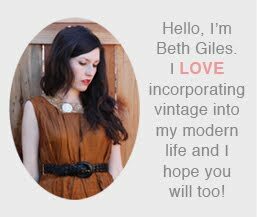 Vintage Clothing Blog | Vintage Wedding Dresses | Salvage Life: Loads of Vintage Coming Soon! Loads of Vintage Coming Soon! We just got in a whole bunch of vintage and I am busy cleaning and steaming to get these ready for the shop. I also need to pick up a large bag of clothes from the seamstress. That is always really fun because I forget what I drop off and then I'm surprised when I see it again. I remember when I first started selling vintage I could tell you where I got every item and how much I paid for it (not that I would), but now I just have so much I can hardly keep track. Not such a bad problem to have, I suppose. Don't forget: If you live in the So Cal area, we are going to be selling our clothing and accessories at Mimosa Salon in Hermosa Beach tonight from 5-7. There will be drinks and goodie bags provided! To find out more click here. if only i lived closer...and, your etsy shop is fantastic! I wish I had this little problem ;-). Love the bags! are any of the bags going up on your etsy site? i LOVE 2 of them pictured here!